Always feel so wasting of time to queue to dine in a restaurant. Especially when I am hungry @@ A lot of people they sure do experienced in waiting in a horrible queue for dinner, especially for good and worth-to-queue restaurant. HAHA. Personally, I usually feel a sense of insecure when I’m about to bring my friends and family to my favorite restaurant because it always turned out to be Full House or have to be in their waiting list for at least 20 minutes! That’s seriously not good when I’m hosting for the dinner! Therefore my choice is to make a reservation beforehand. 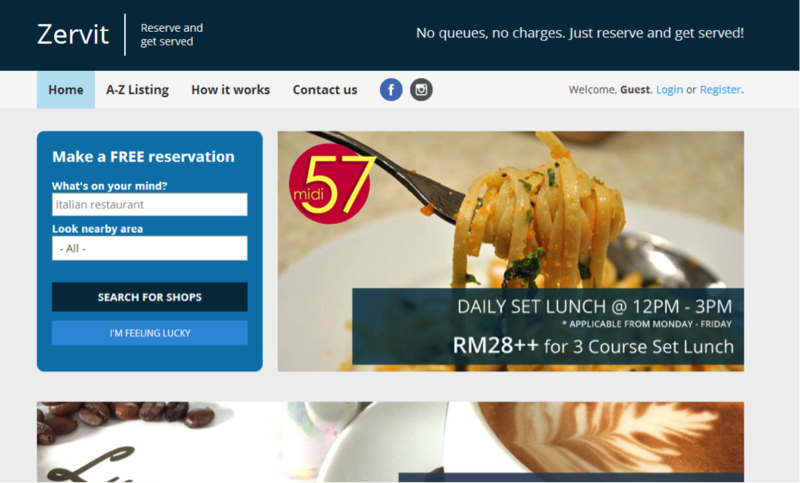 Recently found a new online service which specialized in making restaurant reservations, it allows us to make a reservation in almost all the restaurants in Malaysia. 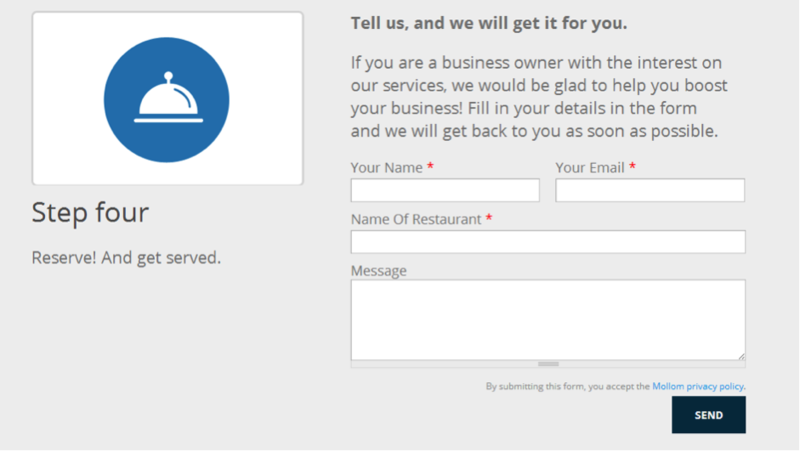 It is initiated for the ease of the user to make reservations at the restaurant they want to visit and provide users an effective restaurant booking and ordering service, which minimizes wait time! 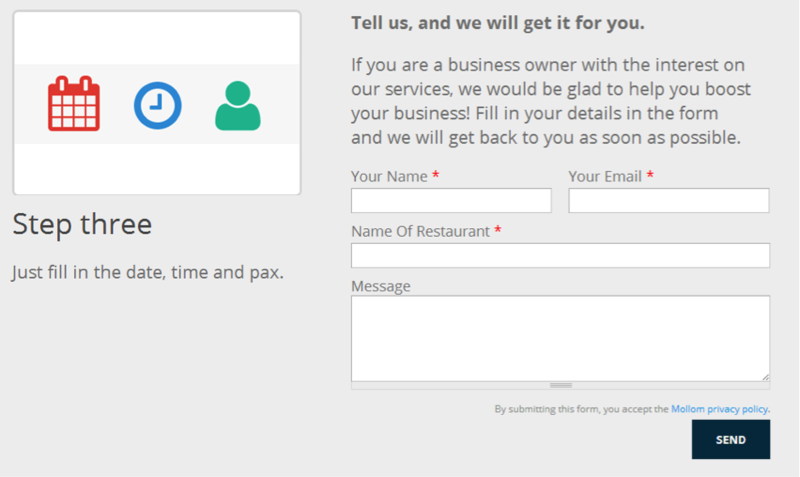 Simple 3 step process, - select Date, Time, Pax . 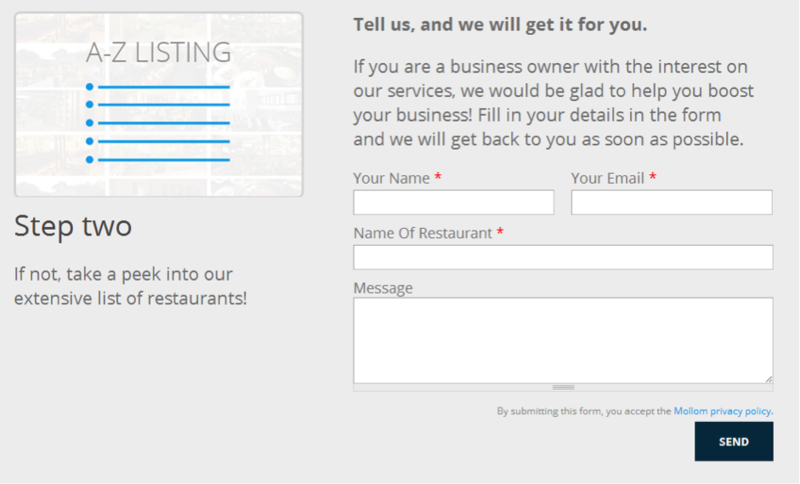 Reserve !, INSTANT confirmation, live 24/7. 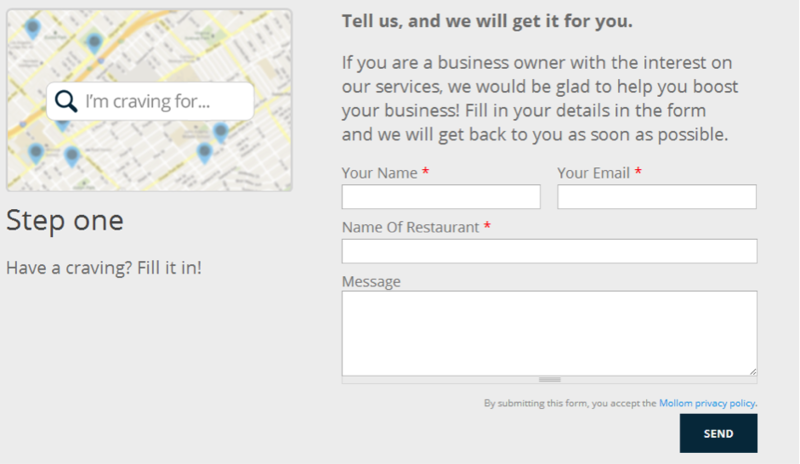 Last, tap "Make a reservation" and it's yours. NO MORE LONG WAIT AND QUES!! 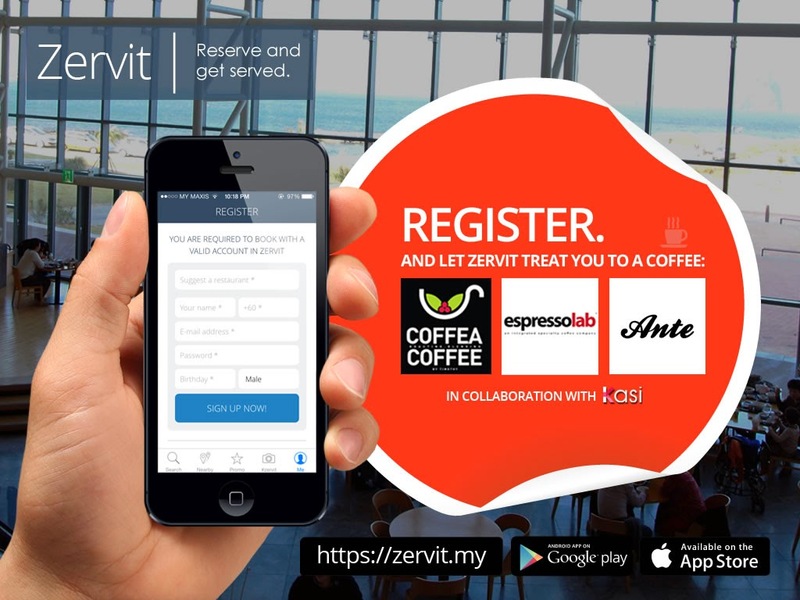 The good news is new registration as a new member can get a coffee treat of choice of CoffeaCoffee ,Expressolab or Ante from www.zervit.my. The vouchers can be redeemed directly from the outlets once you registered. Wait no more, register now!